Vintage Finds | So Pretty is as Pretty Does. I love how it looks and the thumb indentation makes it highly ergonomic. Once I got it home I did a little research and found one on Etsy. Unfortunately, the item sold and I couldn’t find it listed elsewhere. 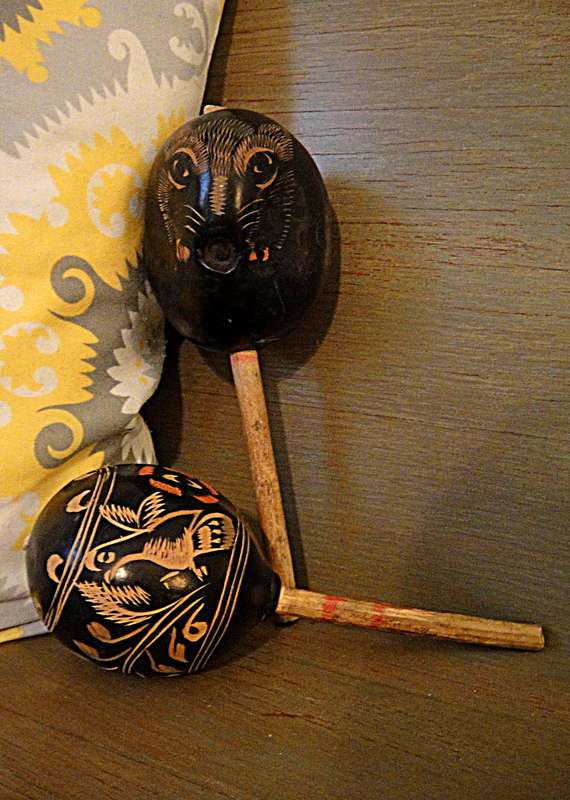 Next up, some neat little noisemakers. I was drawn to the one with the squirrel face, though some people have suggested that it looks like a wild boar. I’ll let you be the judge. I haven’t been able to track down any information on these, so if anyone knows anything about them I’d love to hear from you. 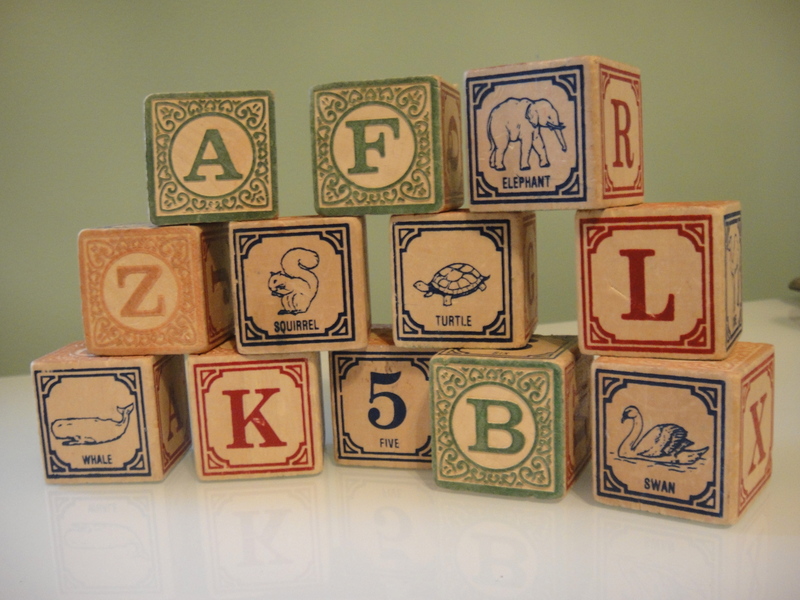 And, lastly a simple set of wooden blocks. 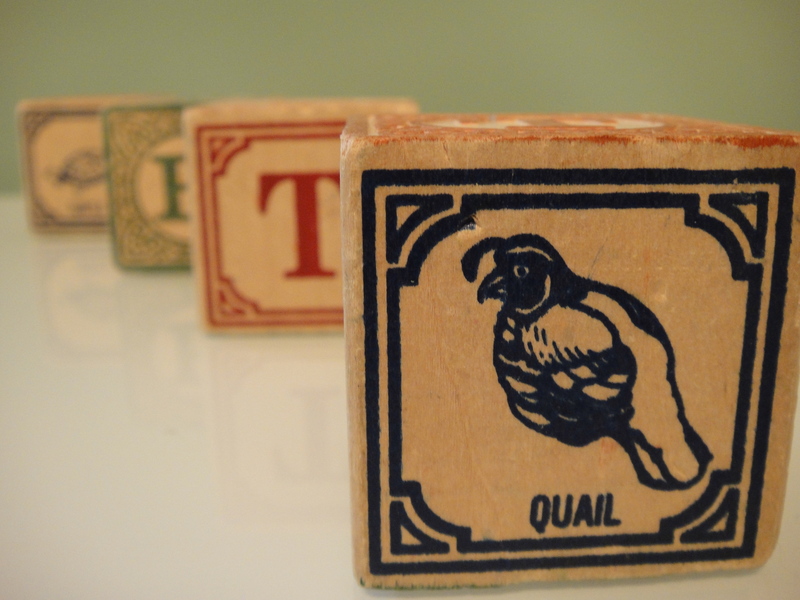 I can’t make the full alphabet with these, but who needs to know their ABC’s when they can properly identify swans and quails?